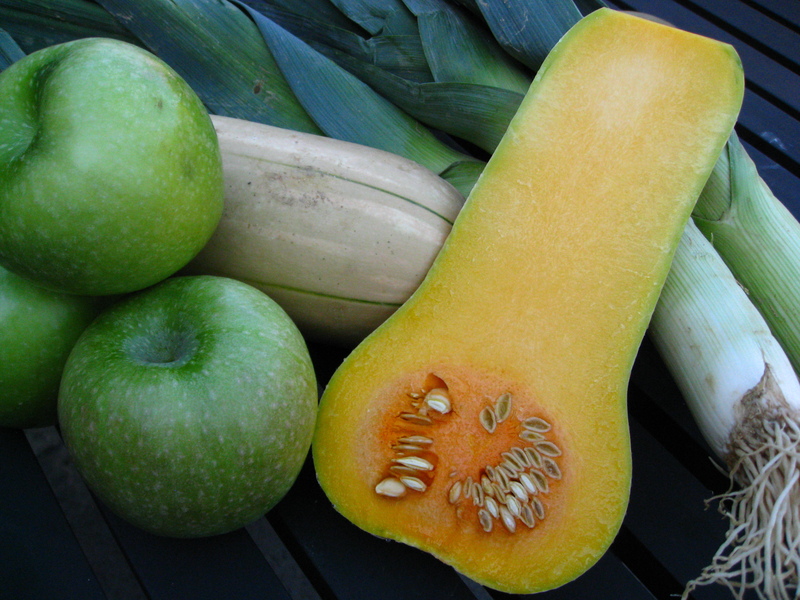 …leeks, butternut squash and granny smith apples. I’ve made this recipe so many times, I’ve lost count. The base of the soup is courtesy of Michael Chiarello, but I’ve made a few adjustments that make this one of the best bowls of butternut squash soup I’ve ever had. The sweetness of the squash and apple is enhanced by the subtle spice from the chili and pepper, but what really adds a memorable, unexpected contrast is the slightly tart pomegranate that bursts with each bite and the salty melt-in-your mouth fluffy popcorn. Note: the spice mixture makes enough to fill an empty spice container to use in the future and make the soup even quicker next time. In a small heavy pan over medium heat, combine the coriander seeds and peppercorns. Turn on the exhaust fan, add the red pepper flakes, and toss, toss, toss, always under the fan. Immediately turn the spice mixture out onto a plate to cool. Put in a blender with the chili powder, salt, and cinnamon and blend until the spices are evenly ground. If you have a small spice mill or a coffee grinder dedicated to grinding spices, grind only the coriander, pepper, and chili flakes. 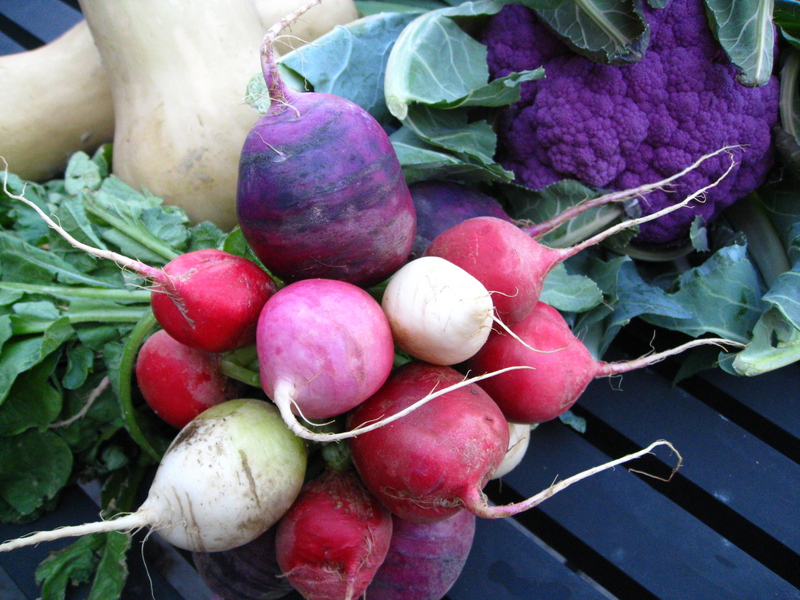 Pour into a bowl and toss with the remaining ingredients. Melt the butter in a large pot over medium heat, and cook until it turns nut brown. 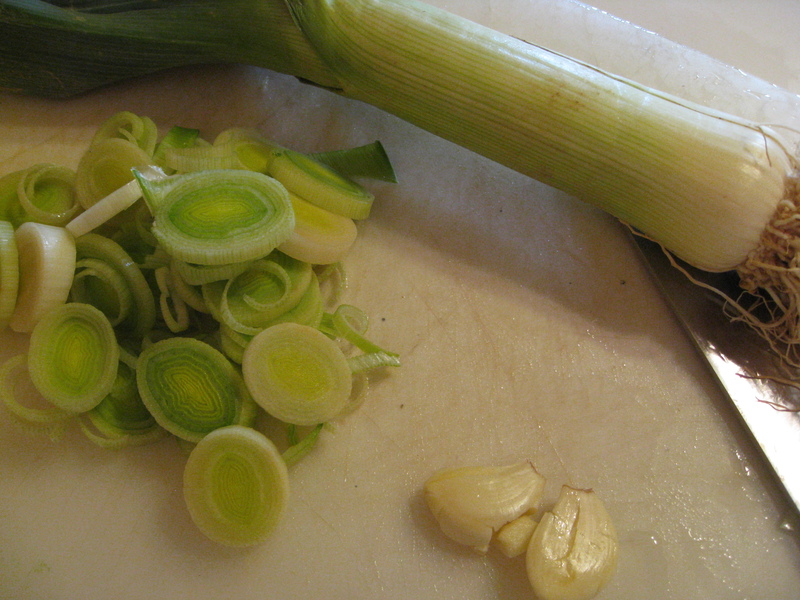 Add the leeks and cook until slightly softened, about 2 minutes. 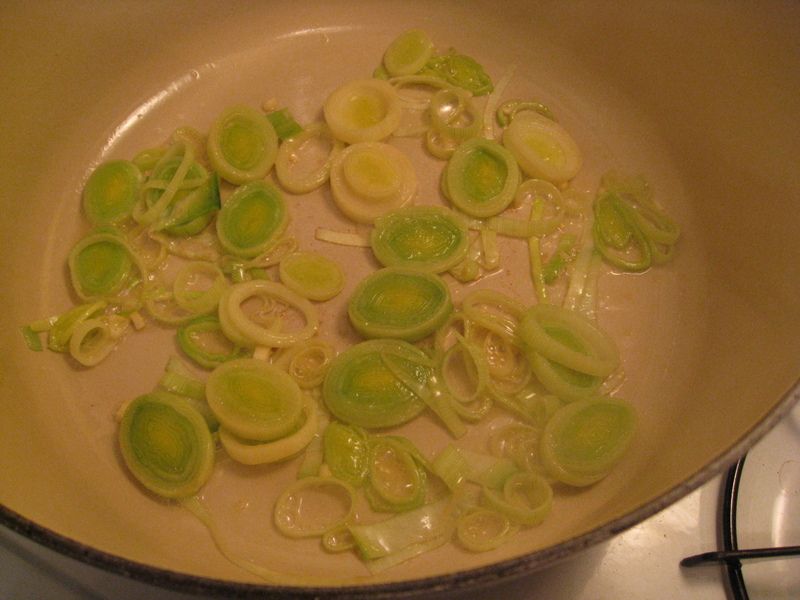 Add the garlic and saute briefly to release its fragrance. 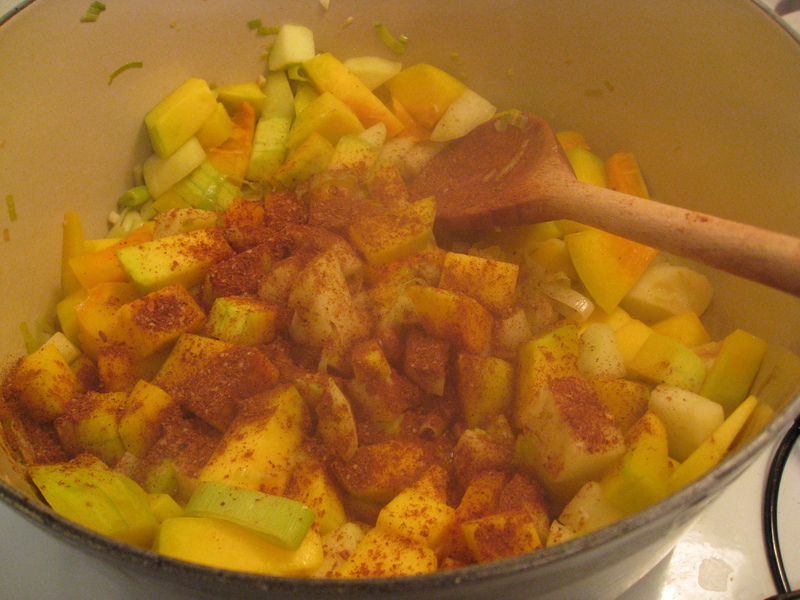 Add the squash and apples, raise the heat to high, and cook, stirring, until the vegetables begin to caramelize, about 5 minutes. Stir in the Toasted Spice Rub and cook briefly to toast it, about 1 minute. Add the stock or broth-water mixture, bring to a simmer, and partially cover. 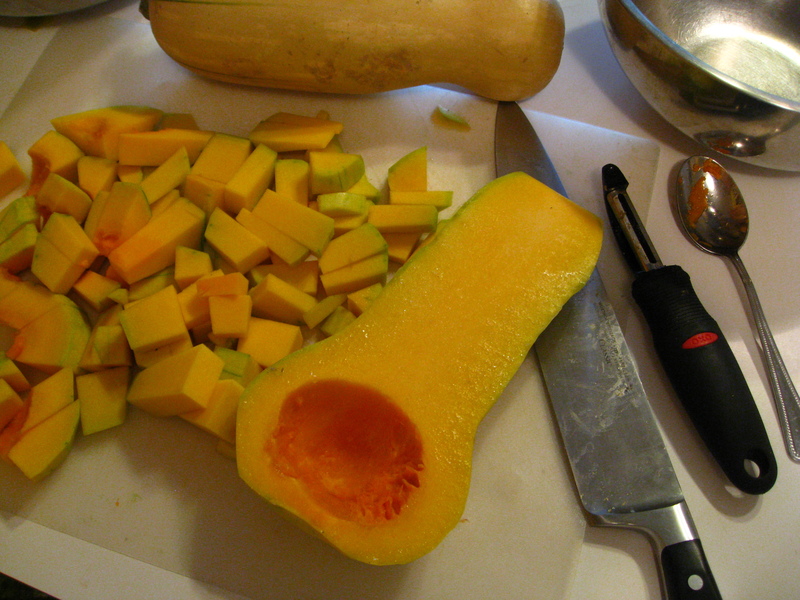 Adjust the heat to maintain a gentle simmer and cook until the squash and apples are tender, about 40 minutes. Transfer in batches to a blender or food processor and blend until smooth. Return to the pot, reheat to serving temperature, and season with salt. 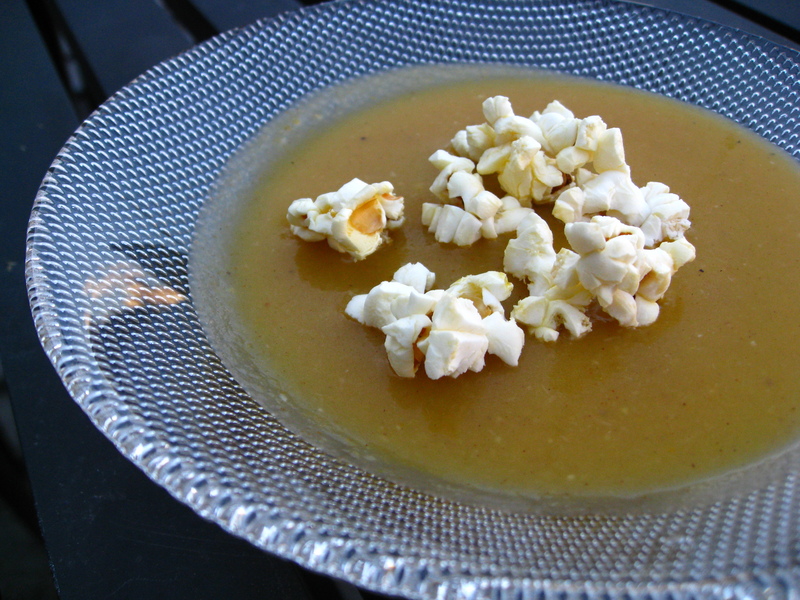 Divide the soup among bowls and garnish each portion with some of the pomegranate and popcorn. Serve immediately. Add stock, simmer partially covered for 40 minutes and then blend until smooth. Garnish with Pomegranate seeds and popcorn kernels. Serve immediately. Why Buy the Cow, When You Can Get the Milkshake for Free? They all look yummy! What time is dinner?